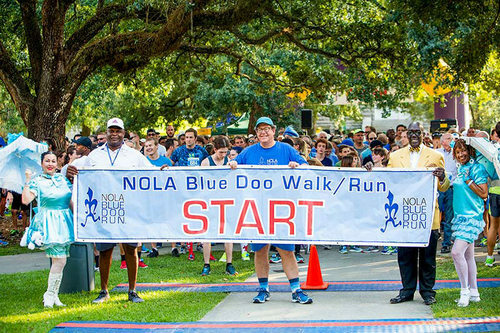 One thousand runners are expected to dash across the Tulane Uptown campus on Saturday evening as part of the Fifth Annual Blue Doo Run, a fundraiser for prostate cancer research. The two-mile race begins at 5 p.m. Saturday (Sept. 15) behind Gibson Hall on St. Charles Avenue, and is open to all runners and walkers with registration through the New Orleans Track Club. The event is part of the national Prostate Cancer Awareness Month, which to find treatment for the second leading cancer cause of death in American men (following lung cancer). For more information, visit www.nolabluedoorun.org.